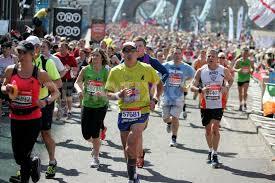 If you are running your first London Marathon, then congratulations! Not only have you made it through the ballot, or successfully secured a charity place, but by now, you should have your base miles behind you. If for any reason you haven’t got into your running yet, it is time to re-assess your goal. By all means, take part, but unless you are a very experienced runner, it is very late in the day to get the necessary conditioning to complete the run and stay healthy and injury free. Hopefully, though your preparations are well underway, and you have many long and easy miles under your belt. If so, you’ll probably be feeling a mix of anticipation and apprehension, in the knowledge that with a little over 13 weeks to go, there is a still a lot of work to be done. So to help you on your way with your first Marathon, here are a couple of useful tips to help you avoid any pitfalls in the coming months. What happened to losing weight this year? 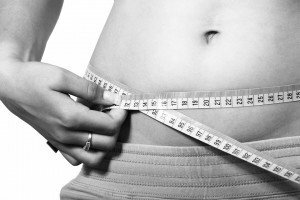 Fat-loss or weight-loss, call it what you like. Many trends and fashions may change each year, but one thing stays constant, most of us just want to shed a few pounds. At the time of writing we are over two weeks into the new year. The New Year’s resolutions were made with renewed vigour. But according to a Washington Post article, over a quarter of us will have abandoned our resolutions after just 7 days. And part of the reason we give up trying to lose excess fat is that it just seems so darn complicated. So to help out, here are a few things science can teach us about fat loss.